Forum Home > eBay, LeBonCoin, Mercado Libre, Yahoo Japan, etc. 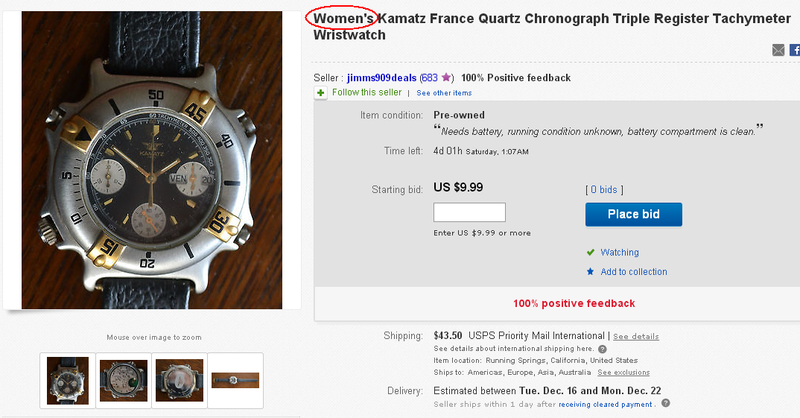 > Beware the Gender Bender - this is a Kamatz LADY's watch ! 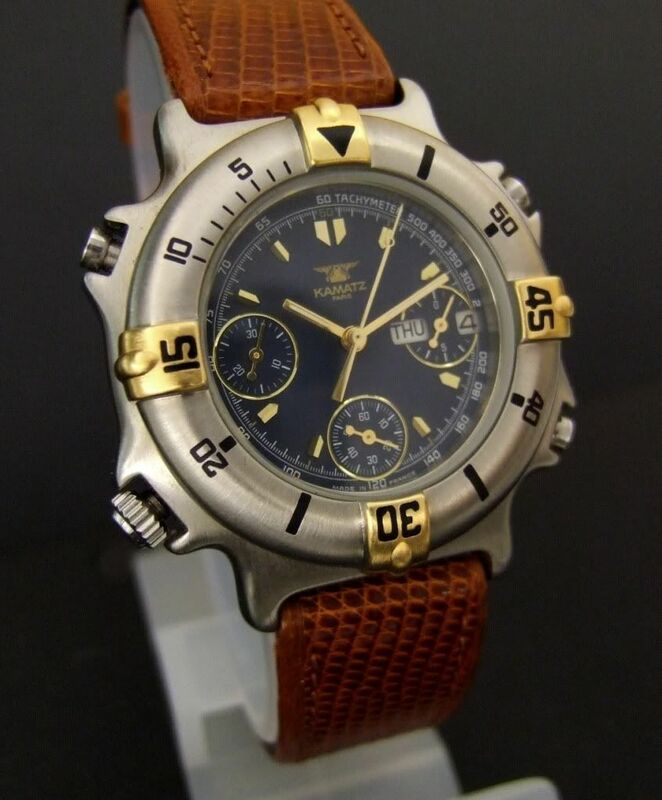 The Kamatz Paris Limited edition "Pilot" model Tachometer 500 is a 15-jewel watch, full working Triple Chronograph with quartz analog movement. It was made in a Yema factory for Kamatz. 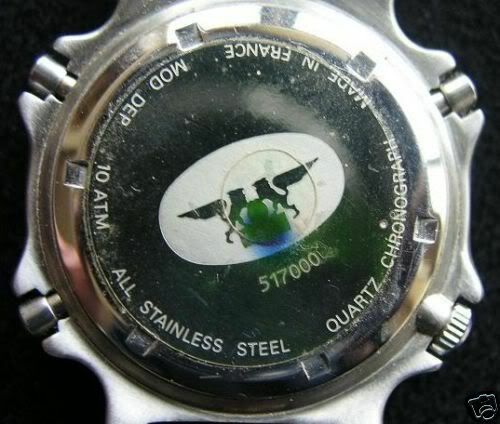 Only a limited number of these watches were made. 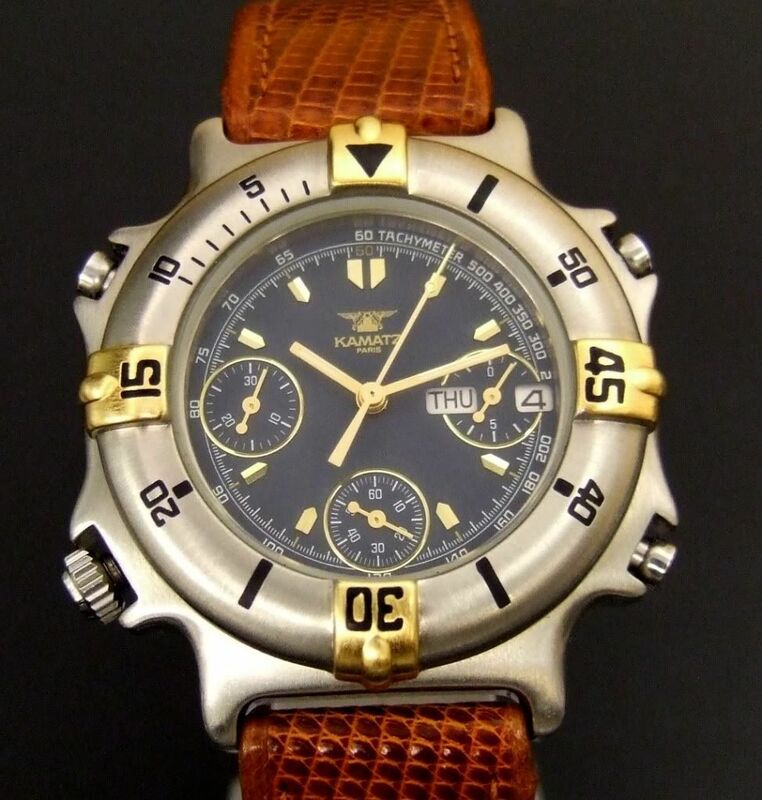 It has Tachometers of 1/5th of a second, 30 minute, and 12 hour, timed chronograph, and day & date function window at 3:00 (days are in both French and English). 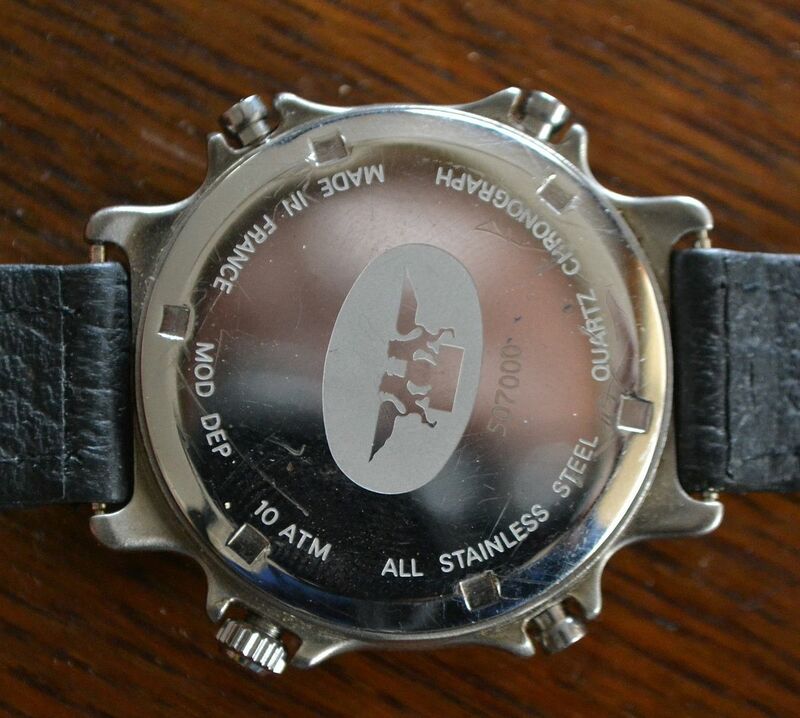 It is water resistant to 10 atmospheres (330 feet) and has a directional ratcheted numbered outer bezel. Easy read dial, screw down locking crown with crown guards, and twin sealing gaskets. Screw back cover, solid stainless case, elegant embossed leather band. 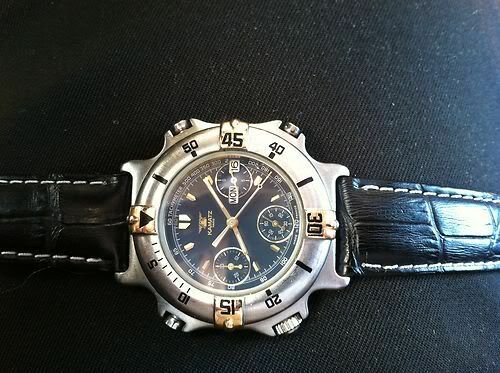 Exceptionally Handsome Men's Quartz Chronograph. Superb Sports Watch with Very Strong all Stainless Steel Case. Impact resistant mineral crystal. Professional ratcheting two-tone bezel. Screw down Crown for safety and security. Split second and lap time chronograph for competition timing. Incredibly Water Resistant to 300 feet. Inset Tachometer Ring. 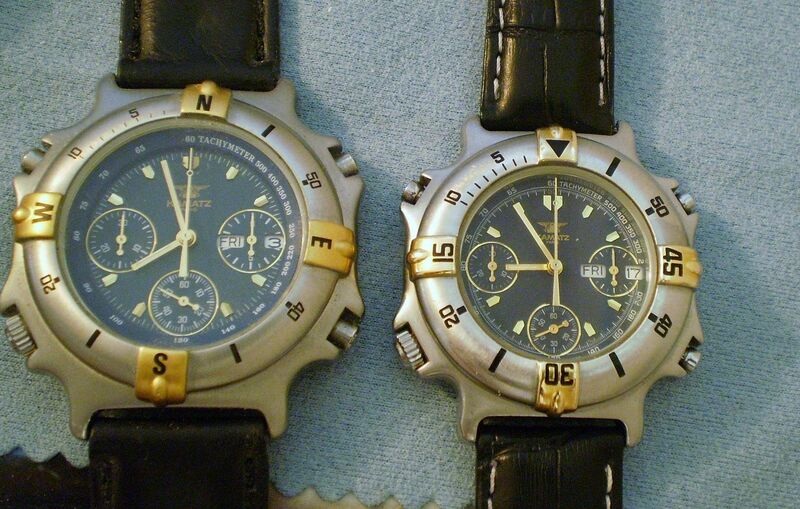 Three pushers for Chrono function. Three subsidiary dials. Regular second, minute and hour hands. Day and date indicators. Deluxe, heavy, fine leather band in Black. A very handsome watch. Made by 'Kamatz of Paris'. 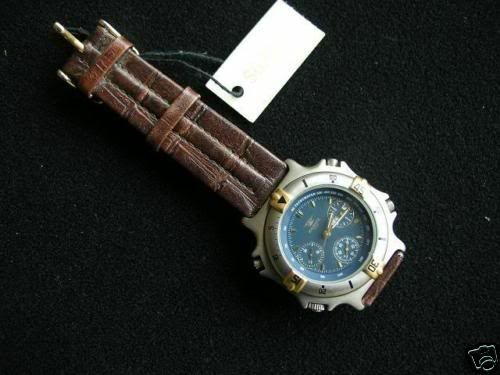 Just one 'small' problem is that this particular watch is a model # 507000, which is the Ladies / Boys version. Ignoring the protusions around the pushers and crown, this is the smallest '7A38' made by any manufacturer. It's tiny. Without getting mine out to check, off the top of my head, measured across the watch case, it's only 36mm in diameter. The full-sized equivalent Men's version, model 517000 is 40mm across (and 20mm lug / strap width fitting, as opposed to 18mm). 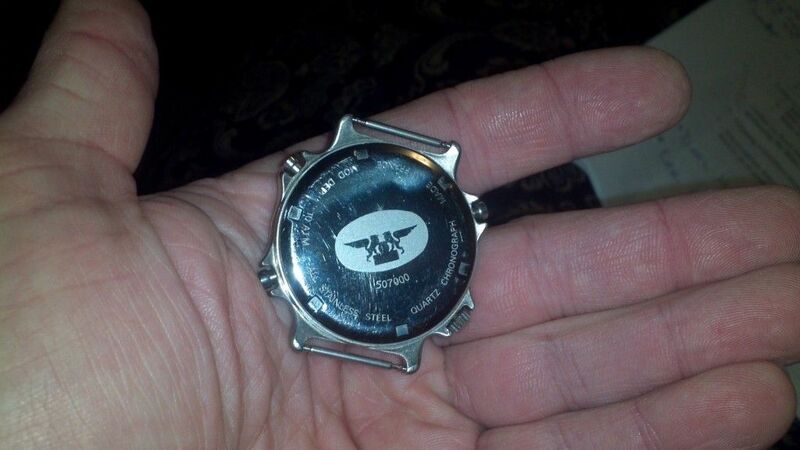 You can gauge the proportions of this watch from the seller's second photo. The movement backplate is a shade under 29mm Ø. 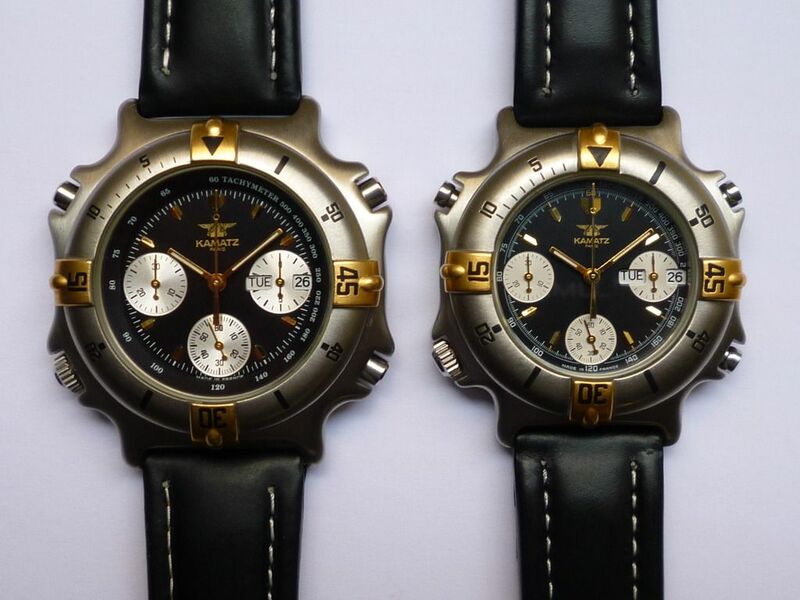 The way the size reduction was achieved, was by having minuscule sub-dials and the tachymeter scale printed on the dial plate, rather than being a separate plastic ring (as with the Men's model # 517000 version). The date window is right on the periphery of the dial. So, in conclusion - an unusual little 7A38 'divers' watch for the wife or girlfriend, but just a 'bit' on the small size for the fellas. As long as you know what you're buying. Caveat Emptor, Gentlemen, as always. Somebody must have pointed out his error to the eBay seller, because he's since amended both his listing title and description. 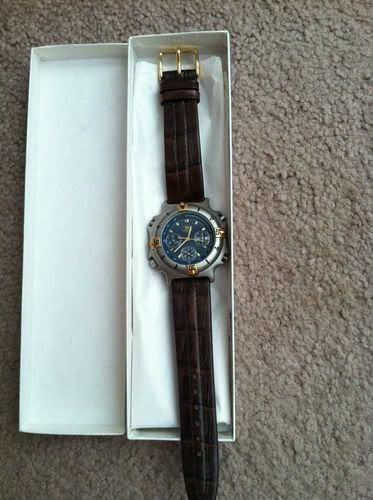 For auction is a Kamatz Limited edition Men's or Woman's watch. Needless to say, that auction ended with the item unsold. Sold for $49 (approx. £30.44). Looks like someone was in the right place at the right time, and bagged themselves a bargain. 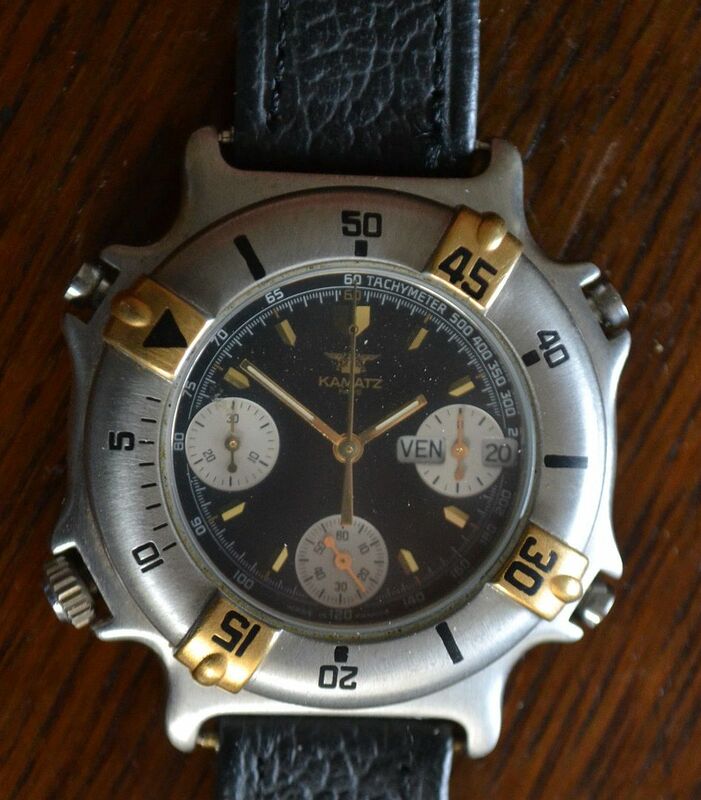 KAMATZ RARE WATCH TACHOMETER 500 - this time, with a couple of new photos, besides the original three. I think we can now safely draw a line under this one. That Ladies Kamatz model # 507000 didn't sell that time around either, nor the next time, nor the next time the seller re-listed it. But the third time he re-listed it - it finally sold on 11th August, for $71 - to someone who presumably knew what they were buying. Which, with hindsight, is probably the ideal photo to illustrate this thread - one that I should have taken myself in the first place. 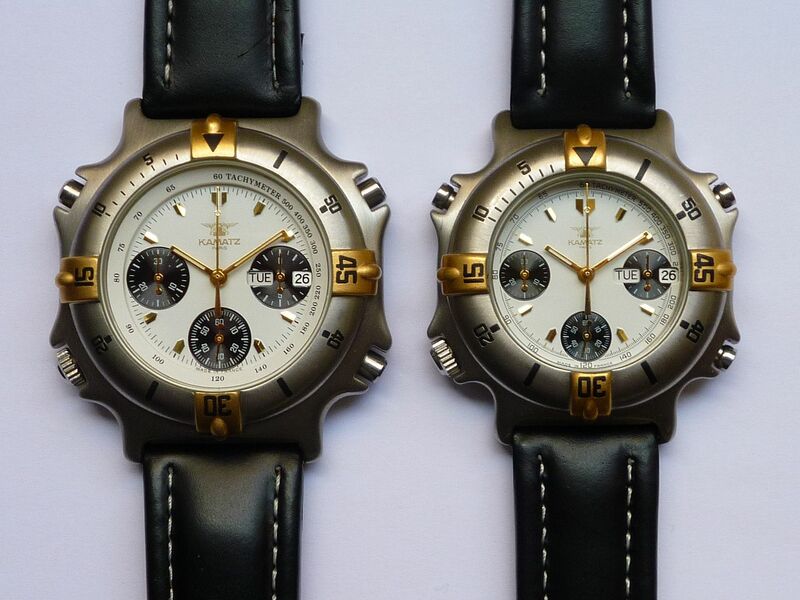 The ladies Kamatz model # 507000 on the right obviously being one and the same watch, as was first listed on eBay in mid-April. 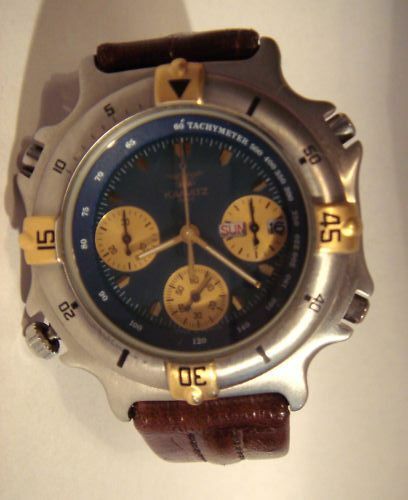 And another Ladies Kamatz 507000 masquerading as a 'Mens' chronograph. 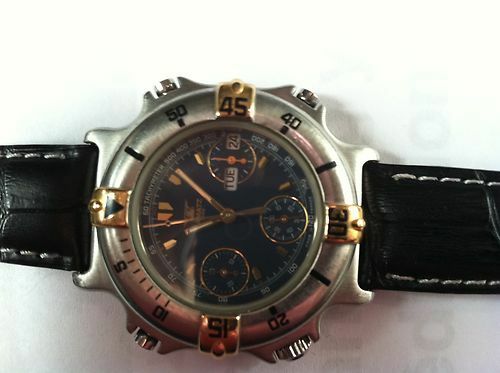 Exceptional Men's Quartz Chronograph.Superb Sports Watch with Stainless Steel Case. Split second and lap time chronograph for competition timing. Water Resistant to 300 feet. Inset Tachometer Ring. 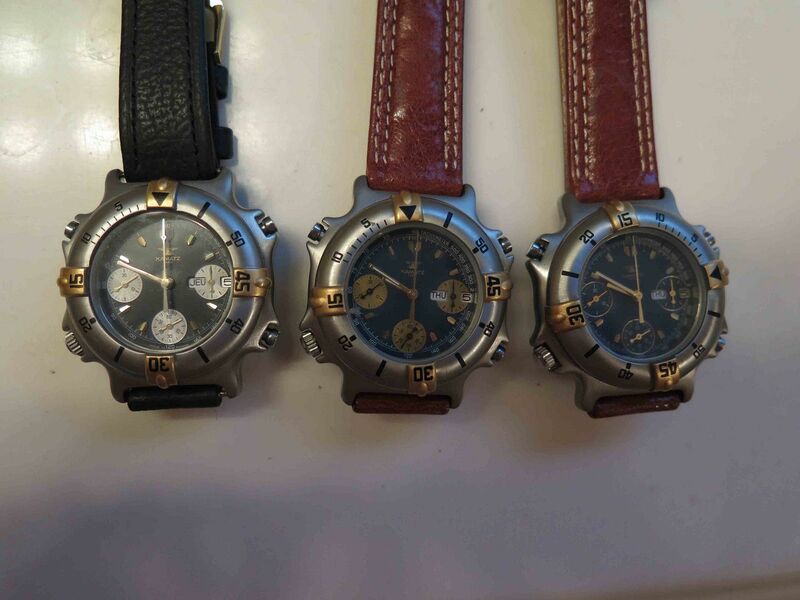 Three pushers for Chrono function. Three subsidiary dials. Regular second, minute and hour hands. Day and date indicators. Made by 'Kamatz of Paris'. Exceptionally small 'Mens' I'd say. 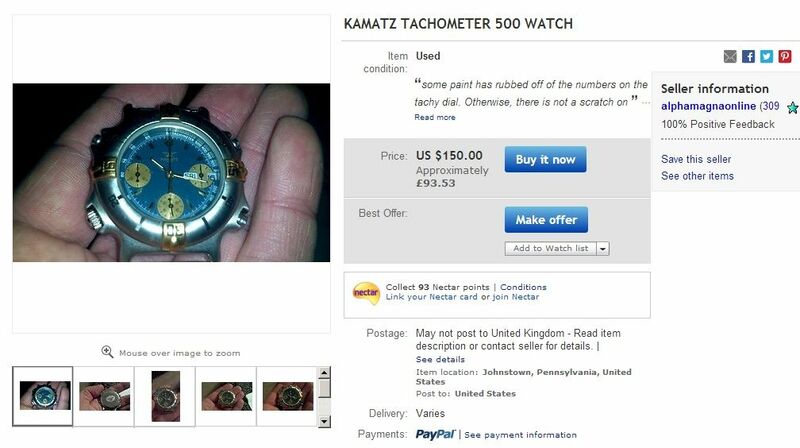 As you can see from the eBay seller's last 'palm shot', it's comparatively tiny - 7A38's don't come any smaller than the Kamatz 507000. 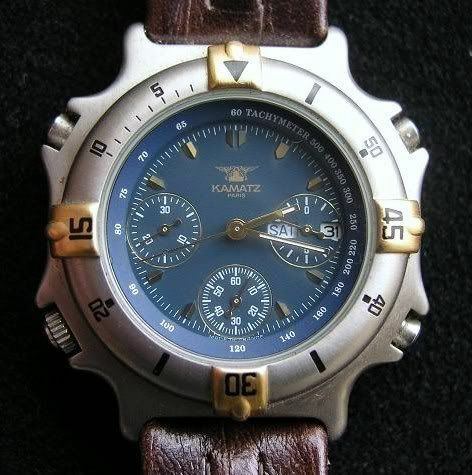 Offered for auction, this Mens Kamatz wristwatch. This is part of a large collection of watches I recently acquired at an estate auction. Please note, I am not an expert on watches in any way. 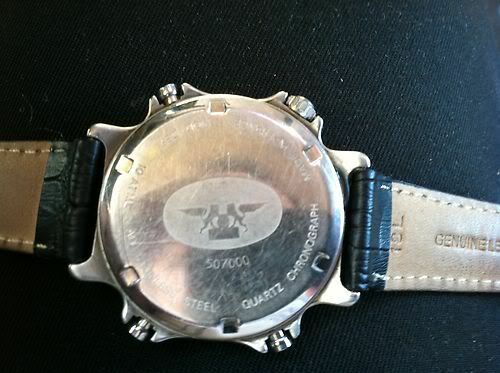 I do not know the history of this watch, getting it serviced is highly recommended. Needs a battery, running condition unknown, battery compartment is clean. 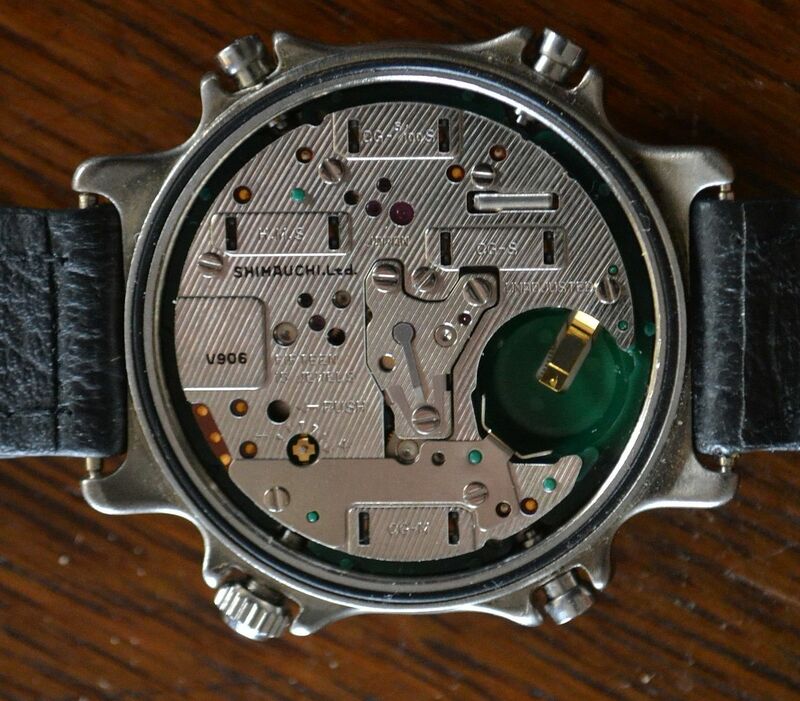 The movement is marked Shimauchi Ltd 15 Jewels unadjusted. The crystal has one small scratch the case has light scratches, overall very clean. Please see photos for complete condition details. 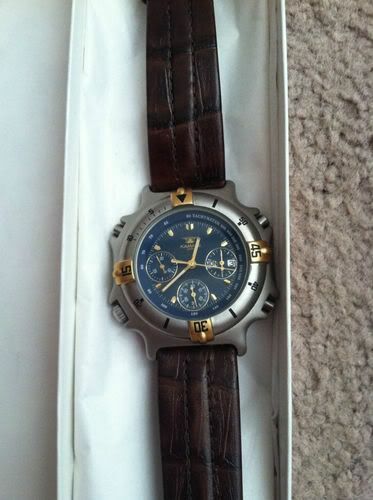 Comes as shown with a nice black leather band. The case measures: 36mm (crown excluded) x 42mm(lug to lug). 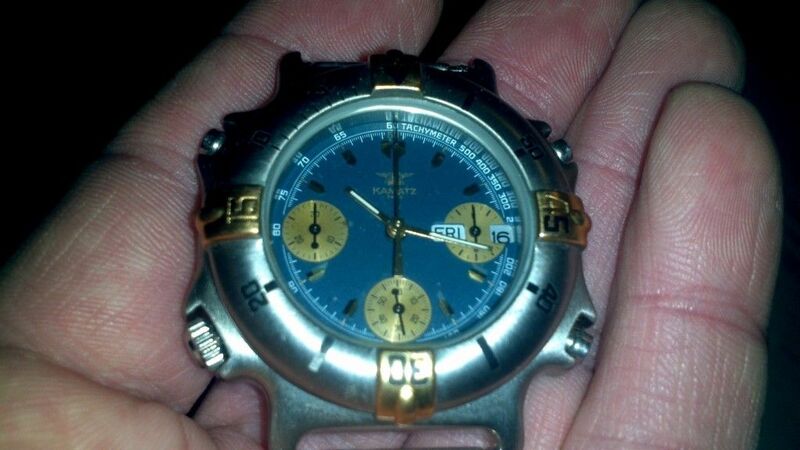 Thanks for looking, please check out my other auctions for more great wristwatches. Not hard to spot, if you know what you're looking at (versus the real Mens version), but the misleading title may catch someone out. Some 4 years on since my last post, it's time for a belated postscript to this thread. There have been a couple more Kamatz model # 507000 Boy's / Ladies versions listed by eBay sellers in the intervening years, but they were correctly described as such. I've commented on both of them in the Yema N7's and N8's Spotted thread. One was in March 2015, see top of page 14 and the other, a 'Baby Panda' (which I bought quite cheaply) was in September 2016 towards the bottom of page 20. As some readers may have guessed from recent posts in the WRUW thread and elsewhere, I've been on a bit of a Kamatz buying spree lately. I've even succumbed to a bit of 'gender bending' and bought yet another 507000 Boys / Ladies version. 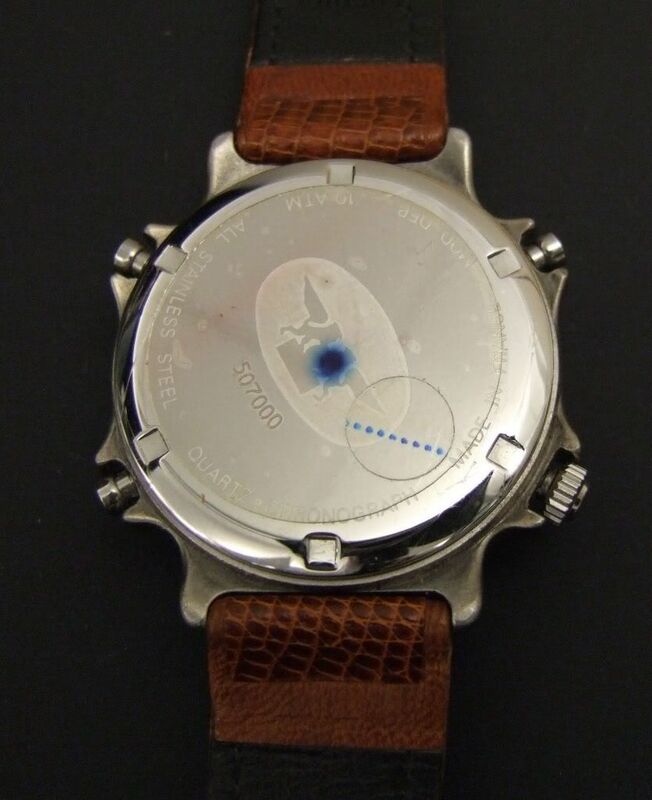 As it transpires, it's the very same watch that was subject of my 2 previous posts, back in December 2014. An observation point (for later identification purposes) is that the watch is obviously fitted with a too narrow black leather strap - it's only a 16mm in an 18mm lug width. That's the same watch on the left of this trio. In fact, I'd already bought the other two 507000's in the photo, from Chuck, as part of an amazing 'job lot' deal. Don was my accomplice at the time, but I've since ended up buying his Kamatz's off him. Until recently, Chuck had held onto a couple of his Kamatz's, including the 507000 'Reverse Panda' - that was till last month when he finally listed it on eBay. I'd never really ever intended to buy more than one of these small Boys / Ladies versions, but somehow I'd managed to end up with 4 of them already. Indeed, by now I'd acquired an example of nearly all the known 507000 dial colour variants - apart from the 'Reverse Panda', so I decided to buy it to 'complete the set'. Despite the fact that we'd been trading emails for years - and that he knew I was in England, Chuck set the eBay listing up as CONUS shipping only. So once again, I had to enlist the services of my ever-obliging US forwarding agent - Paul (PHK) in Las Vegas. Paul's package (containing 2 'Fugly watches') arrived mid-week. A few Kamatz's in my collection, including my first NOS 507000 (see photos higher up the page) came fitted with their original leather straps. That said, it's sometimes difficult to determine what actually constitutes 'original'. 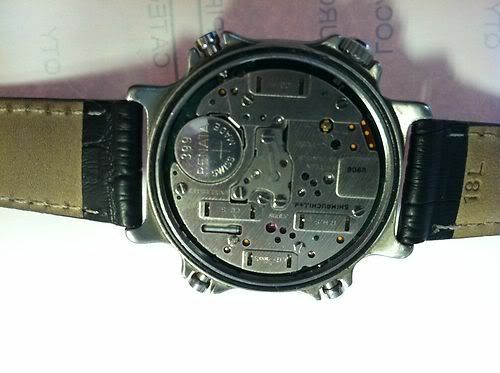 Kamatz appear to have fitted a variety of different (other OEM) straps to their watches - including Russian made Poljot straps of 'cardboard consistency'. Where the original straps were too grubby or worn to consider re-using, I've usually fitted a cheap substitute padded oiled leather strap from UK eBay seller WSD. See link. I'd ordered a couple of 18mm Black straps on Wednesday, hoping they'd arrive in time for this weekend. They didn't - nothing came in this morning's post, other than junk mail. Indeed those two straps I'd ordered never did arrive. I complained to the seller, who sent me two more, as replacements, which finally arrived the following weekend.